Travel Blogger, Snapchat Stories Content Creator and Influencer, Cailin O'Neil has worked with NASDAQ, Expedia, Lonely Planet and many other exciting brands sharing her travel musings. You can see her trekking with Wild Mountain Gorillas in Rwanda, visiting Penang Snake Temple, and eating McDonald's Lobster. With many social media platforms that Cailin is using to share her travels, including her blog Travel Yourself, Snapchat is still Cailin's most favorite platform. We spoke to Cailin to bring you her tips on becoming a Snapchat influencer, growing your audience, working with brands on Snapchat and much more! 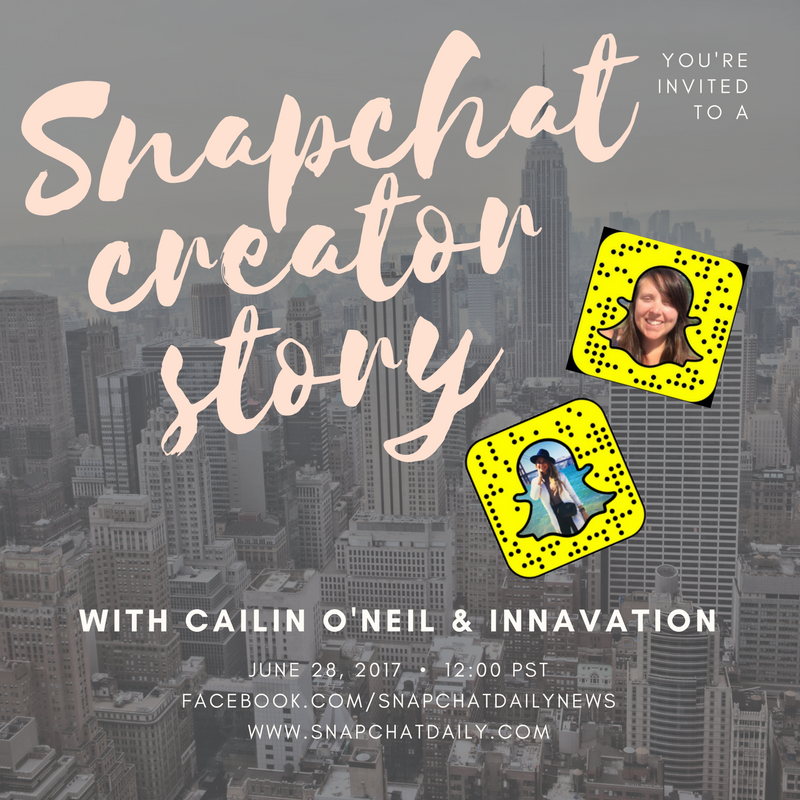 Check out the interview above and watch the live chat with Cailin and Inna Semenyuk (@innavation), the founder of SnapchatDaily.com here. When did you start your blog and how did that happen? Cailin: I started my blog Travel Yourself 8 years ago now and it was originally meant to promote my travel TV show of the same name. I majored in Film and TV in University and then worked in the Film and TV industry. Between jobs I would travel and naturally I started to film my travels around the world and I decided that I wanted my own travel TV show. Not only did I want my own but I was just going to do it myself. I then flew myself and a camera man to Spain to film the first episode of my own travel show in Barcelona, Madrid, Valencia and Buñol for the La Tomatina tomato fight festival. My blog and social media channels were originally created to promote the show and now 8 years later I'm still going on strong. What's your most favorite trip? Cailin: This is impossible to answer. There are so many awesome trips that I have been on and so many others that I haven't done yet! However volunteering on a game reserve outside of Durban in South Africa tracking Rhinos, African Wild Dogs and other amazing animals is definitely up there. But trekking to see wild Mountain Gorillas in Rwanda was amazing too and so was sailing in the Whitsundays in Australia and so much more! Was there a make-it-or-break it moment? Cailin: I don't think so. I think I'm still trying to make it and who knows if I will ever get there in life. Always chasing the dream. Your stories can be seen across different platforms - what's your favorite social media platform and why? Cailin: Currently my favourite social media platform is Snapchat. I think I like it the most because you can be so creative with it, my followers are the most engaged on this app and I can really be myself. I can share my travels one day and act out a crazy skit the next and my followers seem to love it all the same. When did you get on Snapchat and what was your first experience like? Cailin: I have been on Snapchat for 2 or more years now. The first time I downloaded it I remember I actually really didn't like it and remember thinking it was stupid (because it wasn't easy to figure out). Then I had a friend using it a lot and she explained it to me and I was instantly hooked. What was your experience in growing your audience? What would you recommend to creators and brands who are just starting out on Snapchat? Cailin: It has been a slow going process to build my following and I find it extremely frustrating that the app has such a lack of discoverability. However it just makes me work harder to be seen on the app and some of my best tips would be to do collaborations and takeovers with brands and other users. I also recommend using Ghostcodes as well, a great app that is a directory of awesome Snapchatters. What's your most favorite thing about Snapchat? Cailin: My most favourite thing about Snapchat is probably the friendships that I have made through the app. It has lead me to meeting other Snapchatters that are really awesome that I would not have met if it hadn't been for Snapchat and creating awesome long lasting friendships. What's your biggest challenge when creating Snapchat Stories? Cailin: When I am not traveling the biggest challenge for me of course would be to be creative and keeping things interesting. Sometimes I get so worked up about wanting to create the best most excellent content for my followers that I forget the reason that I Snapchat to begin with which is to have fun, be me and share what I want with the world. Sometimes my most poorly shot and silly snaps are what people love the best. So I definitely need to learn to not take it so seriously sometimes. 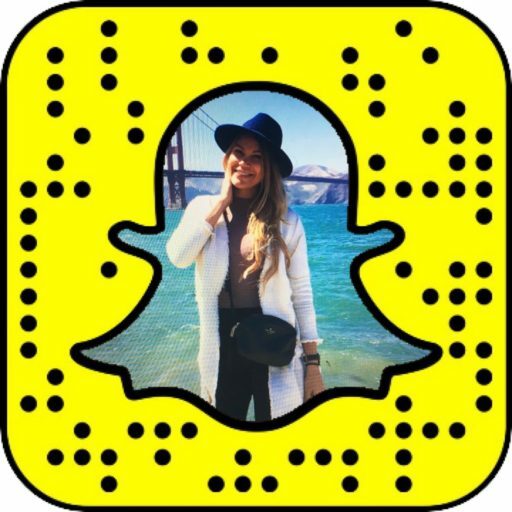 What's your best-kept Snapchat creator secret/trick? Cailin: This is 100% a trick question. I can't give away my secrets! However I will say that I feel the sticker tool is the most under used tool on the app and it has so much potential for what you can do with it. Also a lot of people might not realize that you will get so many more follows from sharing a snapcode VS just sharing a user name. What would be your one piece of advice for brands who want to work with influencers like yourself? Cailin: Having guidelines and asking for ideas ahead of time is fine and to be expected but don't be afraid to give the influencer creative control. The partnership will go much better if the influencer is allowed to be who they want to be and to deliver the message as organically as possible as they would normally. Where is your blog taking you next and why should one follow you on Snapchat? I am headed to Banff this weekend for Canada day, then I will be going to Milwaukee for the Summerfest music festival. You should follow me on Snapchat to travel the world with me and see all the crazy things that I do and eat. Essentially with my snapchat I try to bring the world to the world and show you and teach about everything that there is to see and do everywhere that I go. All of that mixed in with a bit of crazy while keeping things entertaining.